Fifteen years of power yoga were the perfect prelude to aerials for Laura, who eagerly launched her strength and flexibility off of the yoga mat and into the air in 2012. Since then she has rarely touched the ground, training, teaching, and performing every chance she gets. Laura has been sharing the thrill of flying with students of all levels and ages since 2014 and builds her classes around progressions and conditioning. One of her passions is synthesizing vinyasa flow power yoga and silks into a seamless, high-intensity workout. Another is thin crust pizza. Learn to let go of self-consciousness and express yourself on the silks in this choreography-based workshop. 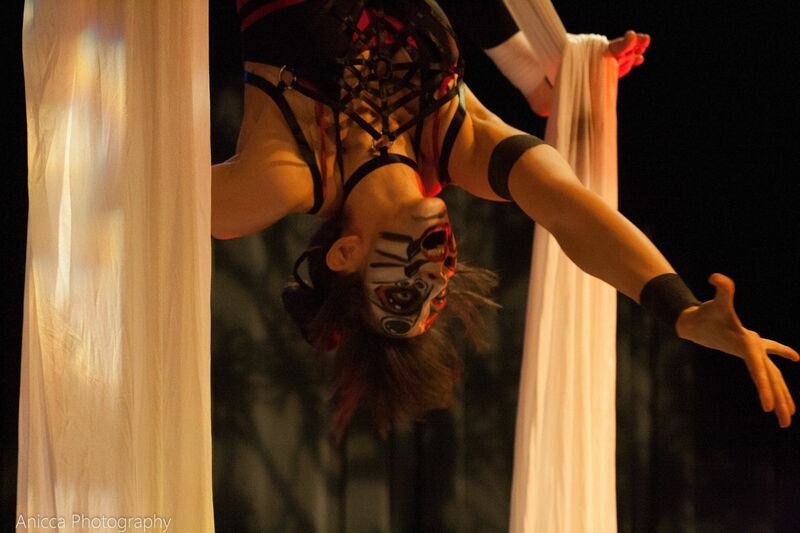 Through exercises based on earth, air, fire, water (and maybe even a Fifth Element), we will focus on creative movement, musicality, and improvisation using aerial silks. Accessible for all levels. This workshop is designed for intermediate to advanced students looking to speed up their spins and learn new ones. We’ll explore progressions, alignment, and transitions revolving around this core silks skill. Tip your lyra on its side and get ready to learn this iconic art! Perfect for students of all levels looking to explore partner work on aerial hoop. We’ll cover counterbalancing, mounts and dismounts, knee hangs, standing balances, and spanset moves. Prepare yourself for secret agent conditioning, sneaky climbing tactics, code-cracking aerial games, and endurance-based silks flows all set to a classic spy soundtrack. Find your black leggings and turn your fabric brain on cause it’s time to blow your strength and endurance training wide open. This 75 minute workshop focuses on vinyasa flow, strengthening poses, deep stretching, and meditation all incorporating beautiful aerial fabric. You will sweat! For yogis, aerialists, and anyone looking for a fun, challenging workout. 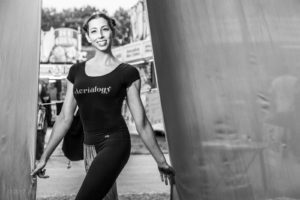 Learn a cirque-style warm up, spin and invert on the silks, develop your own aerial choreography, and perform a complete aerial dance by the end of this 90 minute workshop! Come dressed to move in leggings and a workout shirt.